You probably have a good grasp of why diversification is important. Throwing out the financial jargon, it essentially boils down to not putting all of your eggs in one basket. But it also gets a lot more sophisticated than that. Many investors feel that they have adequate diversification because their assets are spread across several stocks or mutual funds. And to an extent, they are right. Owning multiple stocks reduces the risk of downside from any single position. But there is also a major problem with this: Correlation. If Apple and Microsoft stock prices move together in lockstep, you’re not really getting much in the way of diversification by owning both. And in a real bear market, virtually all stocks drop together. 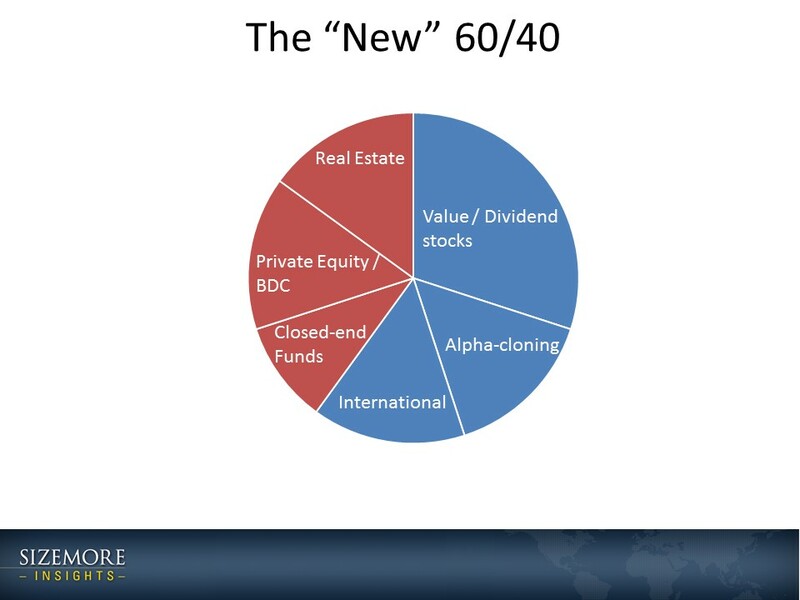 True diversification means owning assets that do not move together. Investment A can go up, down or sideways, and it should have little or no impact on Investment B. This is where the beauty of an alternative portfolio comes into play. A well constructed alternatives portfolio will include assets that are minimally correlated to the stock market and to one another. In addition to its traditional money management, Sizemore Capital Management makes extensive use of alternative investments in client portfolios. Alternative assets weren’t particularly popular in 1980. There is a reason for that. Back then, traditional bonds offered a respectable return. A blended 60/40 portfolio of stocks and bonds offered a solid expected return. Flash forward to to present day. At current bond yields, investors will be lucky to get a 2% return in bonds. And compounding the situation, stocks are also expensive by historical measures and priced to deliver sub-par returns. Note: Earnings yield is calculated as inverse of the trailing price/earnings ratio. “Implied portfolio return” is calculated as the weighted average of the 10-year bond yield and the stock earnings yield. These are estimates only and are not intended to be precise forecasts of market returns. Past performance is no guarantee of future results. Note: Model portfolio only. Actual client portfolios will vary by client based on client needs and eligibility. While ordinary investors have traditionally invested in stocks, bonds and CDs, wealthy investors and institutions have always had a broader allocation.Consider the case of the Harvard University endowment fund. As of 2015, the Harvard endowment fund had only 33% of its funds in stocks. 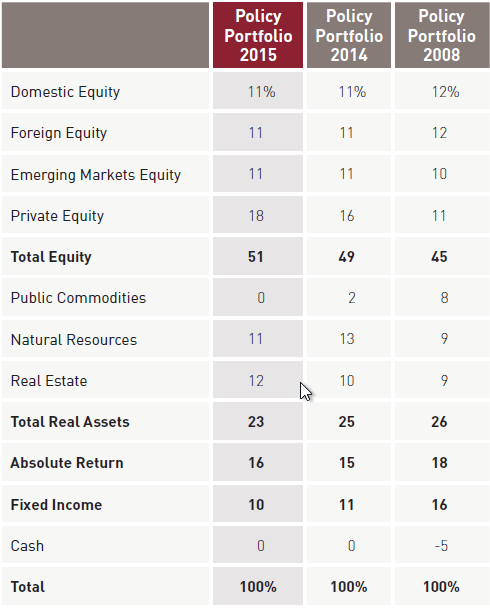 It has another 18% in private equity and 12% in real estate. The rest is spread across everything from timberland to absolute returns hedge funds. Let’s stop and ask an obvious question: If it’s good for trustees of Harvard, would it not also be good for you? If you are interested in learning more about our alternative investments, contact us today for a portfolio review. Not all of the alternative investments discussed will be appropriate for all investors. But we believe strongly that every investor can benefit from a proper allocation to alternative investments.